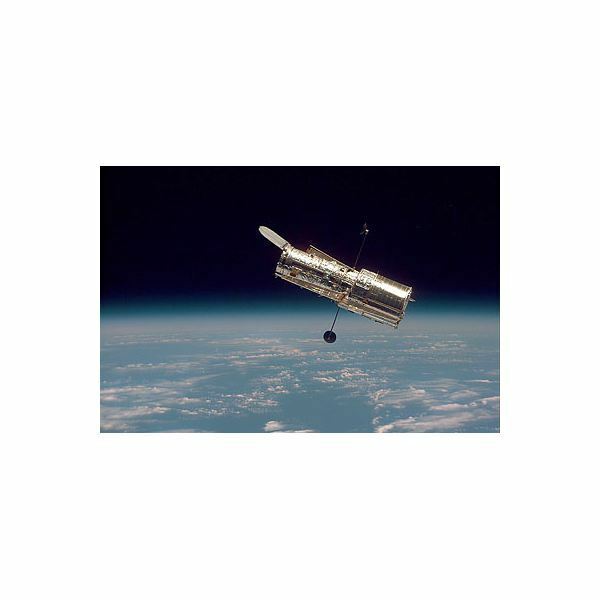 On April 24, 1990 NASA launched a space telescope named the Hubble Space Telescope (HST), which continues to serve the scientific world even after twenty years of successful operation. The discoveries the Hubble telescope has made, brought a radical change in our perception of the Universe. Launched by the Space Shuttle Discovery, this telescope was designed jointly by NASA and the European Space Agency (ESA). It is operated by the Space Telescope Science Institute in Baltimore, Maryland. It is named after Edwin Powell Hubble, an American astronomer who influenced our understanding of the Universe with his proposals on the existence of other galaxies and Hubble’s law. Revolving in an orbit, which is about 610 km above the Earth, the telescope is equipped with imaging sensors which are capable of taking photographs and spectrographs of celestial objects from the planets in our Solar System to distant nebula and galaxies. Renowned as one of the victorious scientific projects in the history of astronomy, it has made a number of amazing discoveries. The study of the exo-planets has been greatly enhanced by the HST. It has found the presence of elements like carbon, oxygen and sodium in the atmosphere of an exo-planet which revolved around the star HD 209458. The spectral studies of another extra solar planet HD 189733b have shown the presence of organic molecules like methane and water vapor in its atmosphere. 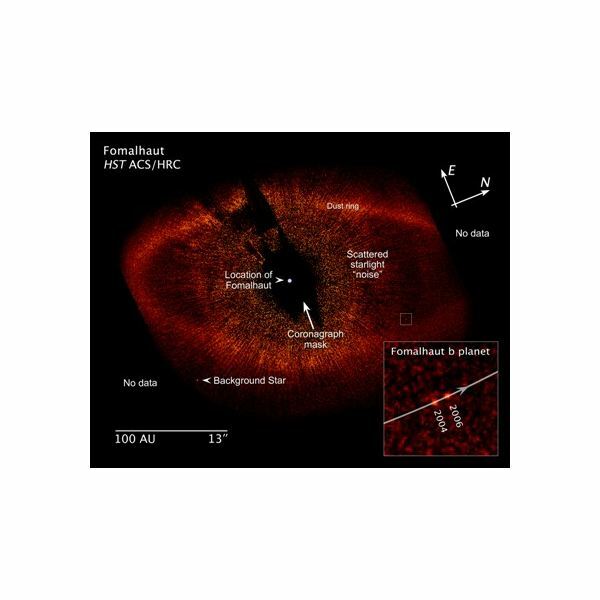 The visible light picture of an exo-planet – Fomalhaut b – orbiting the star Fomalhaut, is the first picture of this kind. 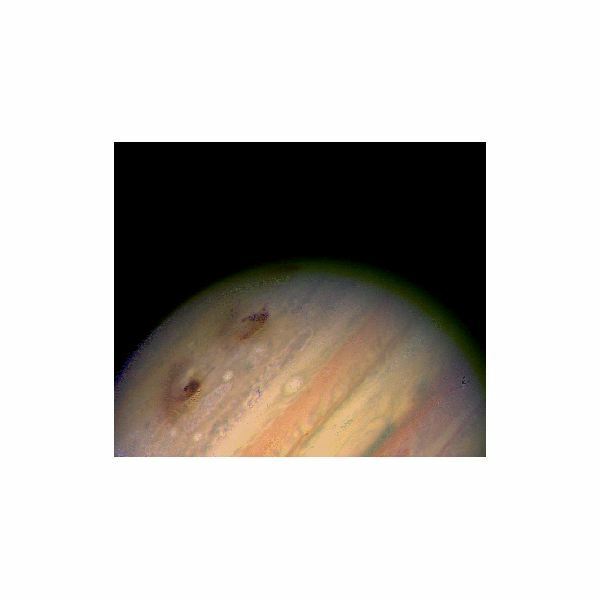 The image below was taken by the HST. The measurement of the brightness of pulsating stars called Cepheid variables, helped astronomers to determine its distance from the Earth and eventually led to the determination of the Universe’s age with more accuracy. Even though a number of arguments have been put forward on the existence of dark matter scientists were not able to find evidence for its existence. HST has shown that galaxies are still evolving through the collision and merging where larger galaxies continuously grow by eating up smaller ones. The images of galaxies and its collision have given evidence for the presence of dark matter. In 1998 HST successfully documented the presence of a black hole in the center of Centaurus A galaxy. HST has established the relation between the supernova and black holes. Its data not only support the expansion of the Universe but also furnish new facts on the behavior of the Universe. It shows that rate of this expansion is increasing. Another important discovery is the mapping of the transformation of the star CRL 618, which is similar to our Sun, into planetary nebulae. The observation of this cosmic evolution provides a better understanding of the formation of the planetary nebulae, and thus an opportunity to test theories proposed in relation with them. 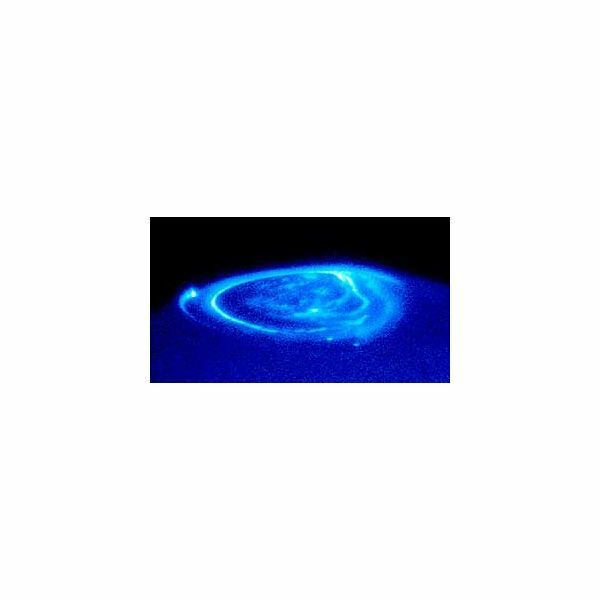 The spectacular aurora which surrounds Jupiter has always baffled the astronomers. Together with the Cassini Mission, HST has studied this aurora and the influence of solar winds on it. 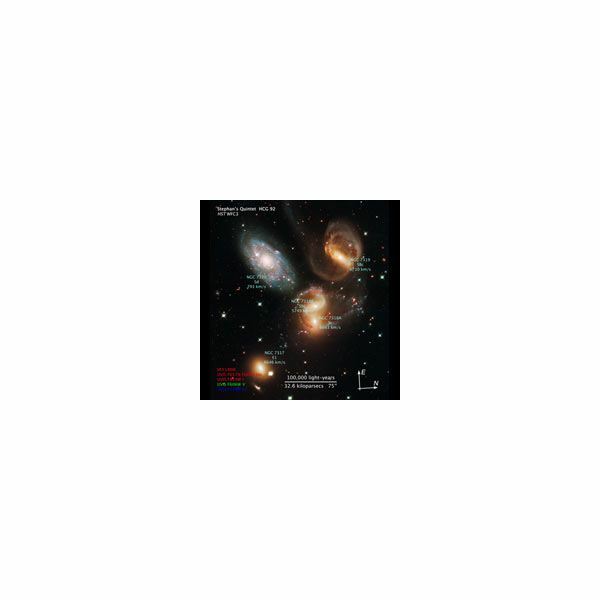 The images of the Stephan’s Quintet , a group of galaxies seen in the image above, have produced excellent information on the evolution of stars and star clusters and dwarf galaxies. In 1994, Hubble presented the scientific world with an excellent view of the comet Shoemaker-Levy 9 crashing into Jupiter. The HST has discovered the presence of more massive objects outside the orbit of Pluto, and two smaller moons which revolve round Pluto. During these two decades the HST has identified a number of extra solar planets, galaxies and other cosmic bodies. The wealth of information which this technological giant has provided is unfathomable. The James Webb Space Telescope (JWST), which is expected to start its journey in 2014, is developed as a successor to the HST. But many scientists believe that HST may continue to serve the scientific world along with JWST.